Strong VPN, or strongvpn.com started its function as a small company that sell PC in 1994, and has evolved gradually into today’s huge company that provides the best online proxy ever imagined. It is based in San Francisco, USA; but has 300+ servers around the world, including countries like USA, UK, Netherlands, Canada, Germany, Hong Kong, Switzerland, Norway, Russia, Luxembourg, France, Malaysia and many other countries. It provides features such as shared VPN along with dedicated VPN to their customers, and is considered an acclaimed service provider in today’s world. The services of Strong VPN include the following. · Best security for hotspot surfers. · Supply of US or Euro IP for users located anywhere in the world. · Their shared VPN as well as dedicated VPN system can unblock any sort of VOIP. · Overseas websites that are out of bound or restricted permanently due to location or regional restrictions can be easily unblocked with this service. · Unique supply of Gbit network connectivity, that ensures maximum speed while browsing with absolutely no bandwidth charge. · The highest guarantee of animosity on the internet; be it surfing, uploading or downloading. · The ease of switching VPNLocations easily from any area. · Secured encryption channel for highest protection of user data. · 24/7 dedicated customer care service by experts. · It allows VPN account security in the best possible way, and users can enjoy full security while browsing. · The service helps in building a virtual firewall between the user’s computer and the internet so that the user remains safe from any attack. Available for both shared VPN and dedicated VPN accounts. · Hides the IP number of all users so that they cannot be tracked. No true IP is ever saved in any database that sells IP addresses of the users. · The service helps to hide online banking and other financial activities from being tracked or indicated as fraudulent. It ensures the supply of IP at anywhere in the world. · It allows the safety of user data while browsing using a public Wi-Fi. The user has the full control over who to share with data, and by how much. · They provide their users with US IP, and Skype users can log in to their respective accounts through Strong VPN and enjoy lower rate on calling US numbers. · Their IP addresses can be used to unblock thousands of websites that are prohibited within the border of the user’s country. · Their security system is slightly different and at the same time better than other proxy server system because of their functionality. · Offers various discounts from time to time. · The shared VPN system has fewer features than dedicated VPN system. 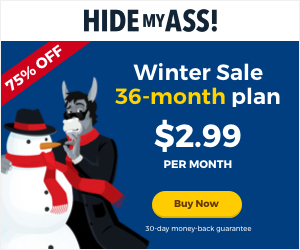 · Their monthly rate is a tad expensive than the other packages. · The speed is not as expected at certain countries of the world for international websites. · There are multiple servers, which can affect connectivity initially. But this can be resolved. Strong VPN has various plans for their users to choose from. They are as follows. Strong VPN has been serving their valuable customers for all these years, may that be of shared VPN or of dedicated VPN. If all the negative aspects are put aside, this proxy sever system can be implored as one of the best services out there that is continuously helping us to protect our valuable data from any harm.